In three playoff games, the Golden Knights top six have been outstanding. Between the two lines they have 11 goals, and 14 assists. However, after a winning night that featured Mark Stone’s hat trick and the second line’s offensive explosion, Gerard Gallant took time to praise a different line. The so-called fourth line. The trio of Pierre-Edouard Bellemare, Ryan Reaves, and William Carrier averaged 10 minutes of ice time, generated four shots on net, had three takeaways, three blocked shots and won 75% of faceoffs. Playing the game the right way means pushing the puck towards the offensive zone, pouncing on loose pucks and winning board battles. Sure, it’s a bunch of cliches but for anyone that watched Game 3, they noticed the impact the fourth line had in their 10+ minutes played. Of course, the physicality is the first thing that sticks out when the fourth line gets mentioned, but the bottom three did much more than that in Game 3, but it is tough to ignore. The punishing hits by Reaves and Carrier were an important element in last night’s victory. 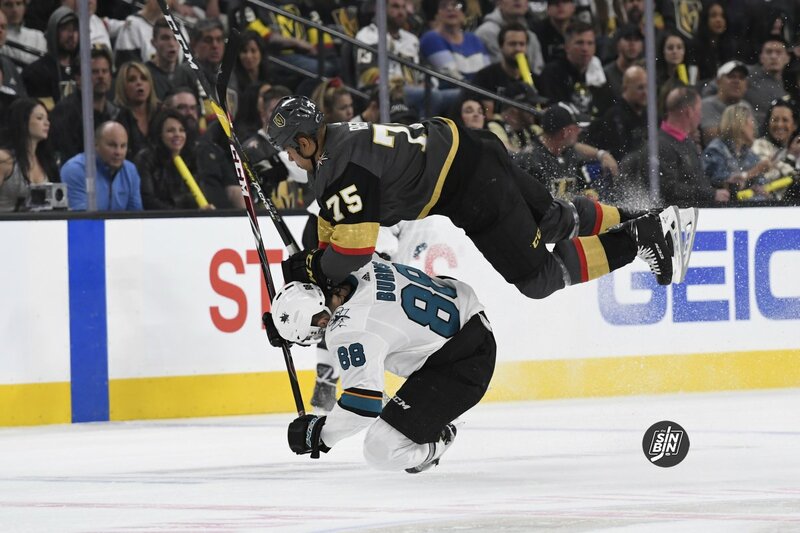 The Bash Brothers combined for 19 of the Golden Knights 56 hits and the Sharks felt every one. 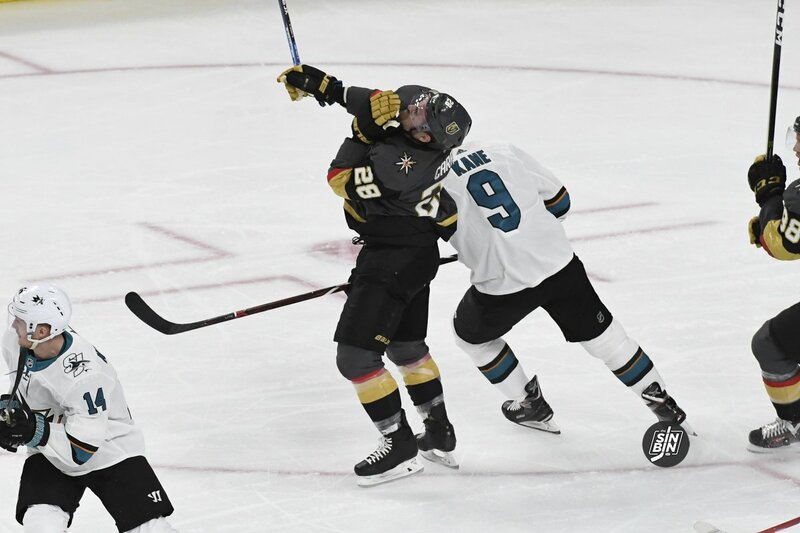 Reaves ended up pairing off in a made for TV slugfest with San Jose’s power forward Evander Kane and it had a lasting effect on the Sharks locker room. If it’s Bellemare winning important draws, blocking shots, leading the offensive charge or Reaves and Carrier pounding bodies against the boards, and pressuring defenseman, the quasi fourth line has executed everything their coach has called for. Expect to see more excitement from the Bellemare-Reaves-Carrier line in Game 4 but more importantly creating offensive pressure will help their team win. Like they did in Game 3. Those “so-called fourth liners” are so-called good. By Thornton’s assessment of that fight, he certainly can look forward to an after-hockey career as a Russian Olympic judge.